In its latest act of blatant hypocrisy, the Obama administration has sanctioned Iran over internet and media censorship. The Administration’s pretentious concern for the Iranian peoples’ welfare is all the more offensive in light of the harsh, illegal, and life-threatening sanctions imposed on that nation, aptly described by The New England Journal of Medicine as a “war against public health” (Gowans). The Obama administration would have us believe that it is concerned about human rights and freedom of expression where it has no regard for life itself, much less freedom. President Obama is not alone or the first in this contradictory policy. In one of the more recent events relating to the topic, Mr. Obama’s champion during the 2012 presidential race, Bill Clinton, revealed America ’s lack of concern and compassion for human life during the Rwandan genocide when he refused to “neutralize” Radio Mille Collines with “counter-broadcasts”. Well before the Rwanda genocide, UN officials and other non governmental officials had asserted that radio transmissions were playing a central role in inciting ethnic tension and “ethno-political” murder. Although these broadcasts were an important component of the implementation of genocide, counter-broadcasts urging the perpetrators to stop never took place. A reason given by Washington for the failure to interfere was state sovereignty and international law as it related to the broadcasts. In other words, state sovereignty and international law were placed above human life. 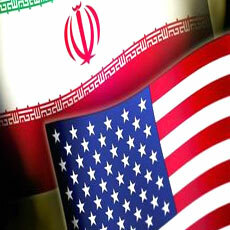 In an about face, Washington is further punishing Iran for not giving America a free hand in undermining its state sovereignty and international law, and the violation of a bilateral agreement. The United States has continuously violated the territorial integrity and the political independence of Iran , starting with the 1953 coup against the democratic government of Mossadegh. The continuation of these policies, another coup was attempted shortly after the Iranian Revolution to overthrow the newly formed government of Iran . Faced with the failure of the Nojeh Coup in 1980, Washington started its broadcasts into Iran from neighboring countries. The Carter administration’s clandestine radio broadcasts into Iran from Egypt at a cost of some $20-30,000 per month, called for Khomeini’s overthrow in support of Iran ’s last Prime Minister under the Shah – Shahpur Bakhtiar. Later, under Reagan’s watch in 1986, the CIA pirated Iran ‘s national television network frequency and transmitted Reza Pahlavi’s address “I will return” on Iranian television[i]. Piracy and broadcast not only violated Article 2(4) of the UN Charter, but also violated a bilateral agreement. Since its very inception, the United States has violated this bilateral agreement. It has continued its relentless propaganda into Iran through the Voice of America, Radio Farda, and other State-funded media outlets such as BBC Persian which receives significant funding from the US government. Launched in early 2009, the BBC Persian as well as Voice of America played a significant role in instigating violence post 2009 Iranian Presidential elections. It is abundantly clear that America is not a ‘Good Samaritan’ State, and its policies are not driven by compassion. Ironically, with drones spying on Americans, network neutrality undermined, and internet censorship abound at home, the Obama administration demands that Iran open itself to further sabotage and subversion guised as compassion. In other words, embrace the implementation of Donald Rumsfeld’s Information Operations Roadmap– namely, computer network attacks, psychological operations, “maximum control of the entire electromagnetic spectrum”, and US ability to “disrupt or destroy the full spectrum of globally emerging communications systems, sensors, and weapons systems dependent on the electromagnetic spectrum”. Soraya Sepahpour-Ulrich is a Public Diplomacy Scholar, independent researcher and writer with a focus on U.S. foreign policy and the role of lobby groups.